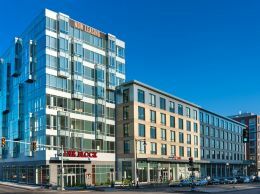 SIENA THE NEXT CONDOS AT INK BLOCK COMBINES HIGH-STYLE ARCHITECTURE AND DESIGN WITH AREA AMENITIES INCLUDING WHOLE FOODS MARKET, SHOPS AND RESTAURANTS,WITH A WALK SCOREÂ® OF 91. WE HAVE VARIOUS RESIDENCES AVAILABLE INCLUDING OUR FIRST FLOOR "MAISONETTE'S WITH PRIVATE ENTRANCES IN ADDITION TO OUR STUDIOS, 1'S, 2'S, 2+ AND 3 BEDROOMS TO CHOOSE FROM. 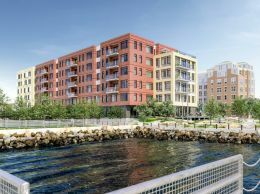 SCHEDULE AN APPOINTMENT TODAY TO GET A GLIMPSE OF SIENA'S CHIC AMENITIES AND "LIVE LIFE SOUTH END @ SIENA! NOW PRE-SELLING. The information in this listing was gathered from third party resources including the seller and public records. Listing information provided courtesy of Beverly Dagostino of The Collaborative Companies. MLS Property Information Network, Inc. and its subscribers disclaim any and all representations or warranties as to the accuracy of this information.